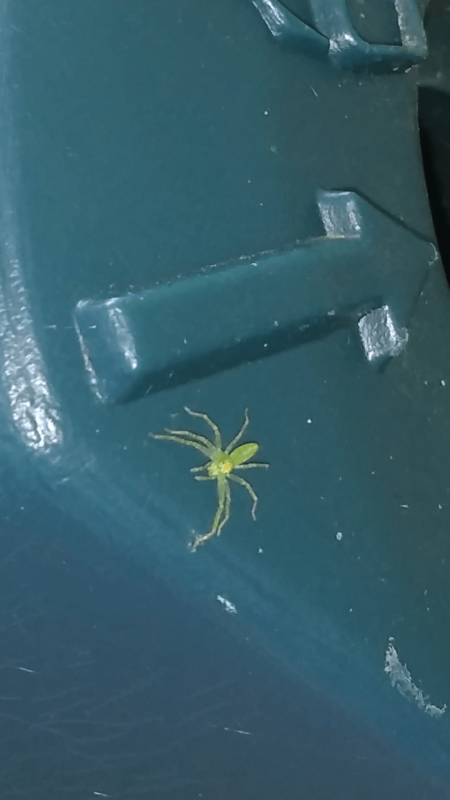 I thought it was the Magnolia Green Jumper but it does not have any black spots like those do. It is all neon green. It's cute! I see these all over camellia leaves in South Carolina. It is a Magnolia Jumper– Lyssomanes viridis. I see these all over the camellia leaves in South Carolina. This is a Magnolia Jumper… Lyssomanes viridis.